PathFinder Digital awarded a contract by the National Aeronautics and Space Administration (NASA) to study the feasibility of developing a transportable research and test platform to facilitate the design of Free Space Optic (FS0) satellite networks. The study focuses on the development of Optical Ground Stations (OGS) and their interoperability to Optical Space Terminals (OST). 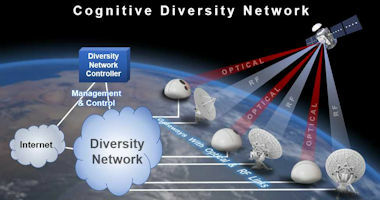 The study also focuses on the development of atmospheric mitigation techniques such as site diversity, cognitive networks and hybrid lasercom/RF networks. The transportable test platform will provide both US industry and the Government tools necessary to refine standards and facilitate development. "Laser communications is likely to be a disruptive technology in the field of satellite communications, especially regarding its use as a backbone for space to ground communications with GEO, MEO and LEO networks. PathFinder is proud to be at the forefront of free space optic communications. Our expertise in optical communications is a great supplement to our extensive experience in RF communications. We look forward to continuing our work in this field with NASA and other US Government agencies," said Roger McGarrahan, President and CEO of PathFinder Digital LLC. PathFinder specializes in the development of satellite communications solutions engineered to meet the unique and particular needs of each project, primarily for military and government agency programs. PathFinder identifies or develops the best solutions to meet the objectives of each set of communications requirements, including red/black architectures. PathFinder uses the best available products, re-engineered or developed if necessary, to create the most effective and cost beneficial communications solutions for its customers.